Nature has much to offer in terms of health benefits. Creating a culinary and medicinal herb garden can be an excellent way to get outside and do something good for yourself and beneficial to the planet. Through this endeavor you will receive the Sun’s energy as well as a moderate amount of exercise. In addition, the herbs you grow can be used to enhance your food both in taste and nutritional content. A herb garden is easy to set up and requires little maintenance. 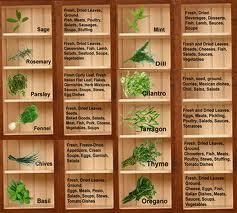 Herbs can be used in many ways and can also be a valuable asset to the kitchen. Some of the more common culinary herbs include Basil, Parsley, Mint, Cilantro, Dill, Rosemary, Thyme, and the list goes on. These herbs can be used for seasonings and to add flavor to your food. To learn more about using culinary herbs refer to http://culinaryherbguide.com/usingherbsincooking.html. Other types of herbs have healing properties and are refered to as medicinal herbs. The chinese culture has used herbs in the healing arts for thousands of years.Herbs such as Bilberry, Echinacea, Maca, Saw Palmetto, Ginseng, St. Johns Wort, and Valerian as well all of the chinese herbs are known for their exceptional health promoting properties. 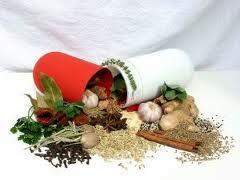 To learn more about medicinal herbs and there uses check out http://www.herbslist.net/. Now for the fun stuff. Find a place in your yard, windowsill, or balcony depending on your living arrangements and decide which herbs you would like to grow. Now that you have picked the perfect place for your herbs and have selected some choice herbs to nurture and love you are ready for the next step. Herbs will need quality soil, partial sun, light watering, and love to thrive. Using all organic soils, fertilizers, and pest deterrents is highly recommended and encouraged .Some herbs will grow fast and spread while some will take their time. A great way to save space is to pair compatible herbs in the same container together. 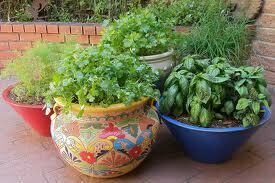 To learn more about companion gardening refer to http://www.gardenguides.com/96804-herbs-grow-well-together.html. Now you can decide whether you are going to use a container or grow in the ground. I prefer using containers for most of my herbs as I have more control over the soil composition and it makes weed management far easier. It also adds an aesthetic value to the landscape and allows for easy means of harvesting your herbs for use. Have fun and use your imagination to create unique containers for your herbs. I choose a magnificent place in my backyard and used cinder blocks to create a border allowing an open bed to grow other herbs as well as vegetables. The hard part is now complete and its time to nurture your new extended family. Feed your herbs and give them love by talking sweet, singing, and playing uplifting music for them. Watch as they grow and thrive into beautiful health providing specimens. Congratulations on creating a space of love. Reap the generous rewards of your glorious bounty. Hopefully this rendering has inspired you and gave you some ideas on simple things you can do to embrace natures bounty and some beneficial ways you can nurture yourself, while contributing positively to the planet. Ready, Set, Grow!